Li becomes first man to card four eagles in one round since 2007 as Garcia is disqualified for "serious misconduct"
Li Haotong made an astonishing four eagles in a third-round 62 that earned him a share of the lead as Sergio Garcia was disqualified on an eventful Saturday at the Saudi International. Three of Li's eagles were on par-fours, his third coming at the 17th before he closed with a three at the par-five last to ensure he ended the day tied at the top with Dustin Johnson on 16 under, five clear of England's Tom Lewis in third. Johnson, who led by three overnight following his second-round 61, reeled off four consecutive birdies around the turn but parred the final six holes to settle for a 65, while Garcia was disqualified for "serious misconduct" and issued an apology for damaging a couple of greens in frustration. 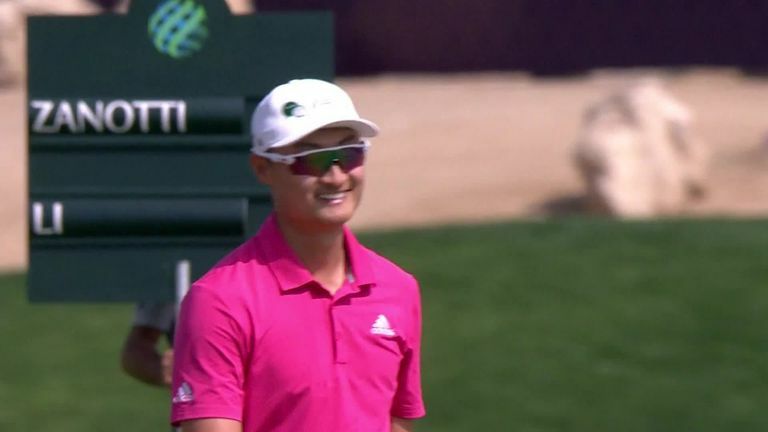 But Li was the story of day three as he continued his impressive response to being handed a controversial two-stroke penalty for an apparent breach of the new Rules of Golf on the final green in Dubai last week. 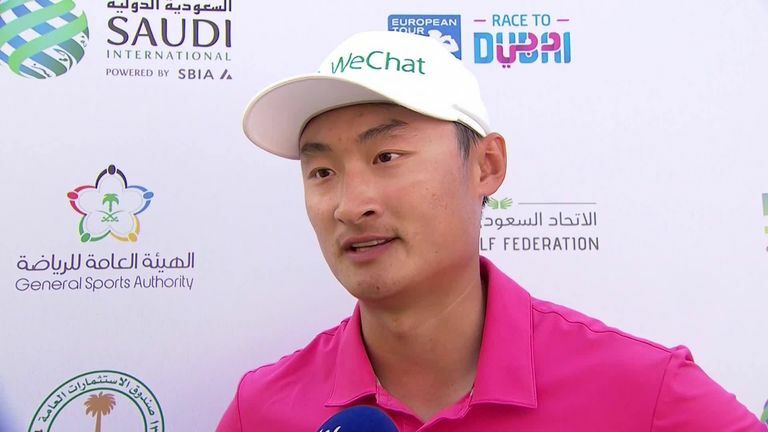 Li Haotong admits he enjoyed several slices of luck as he reflected on his four-eagle round of 62 on day three at the Saudi International. The 23-year-old began his third round at the Royal Greens Golf & Country Club in perfect style when he holed out from the rough at the first for an unlikely eagle-two, and he birdied the fourth and seventh either side of an unfortunate double-bogey six at the sixth. Li then pitched in again at the 109th after an aggressive drive to within 50 yards of the green and, after a run of six pars, his spectacular drive at the 388-yard par-four 17th bounded onto the putting surface and came to rest just four feet from the cup. He duly rattled in the chance for his third eagle of the day, and he made it four moments later when his bold second skipped past the pin and settled in the rear fringe, and he rolled in the 12-footer to become the first player to card four eagles in a single round on the European Tour since 2007. "I think I was very, very lucky today," said a modest Li afterwards. "The last couple of shots were really solid, but except that, honestly, my play wasn't good. I just want to play my best on Sunday and enjoy myself in the final round." Johnson had earlier consolidated his lead over the field when he birdied two of the first four holes before suffering only his third bogey of the tournament at the fifth, but he soon surged back into a four-stroke advantage with birdies at nine, 10, 11 and 12, where he capped his sparkling run with a 25-foot putt. But the world No 3 was unable to maintain his momentum and, with Li embarking on his eagle blitz up ahead, Johnson closed with six pars and signed for a 65 before paying tribute to the exploits of the Chinese challenger. "If I want to get it done tomorrow, I'm going to have to play really good golf," said Johnson. "Li Haotong is a good player and he's been playing well. Four eagles in a golf tournament is pretty good, but four in one round, I'd take that any day. I'll just go out, play my game and not worry about what he's doing, so I'm looking forward to it." Lewis raced into outright third place on 11 under after he made eight birdies and kept a bogey off his card in his 62, while Alex Levy and Ryan Fox both returned 67s to reach nine under par. 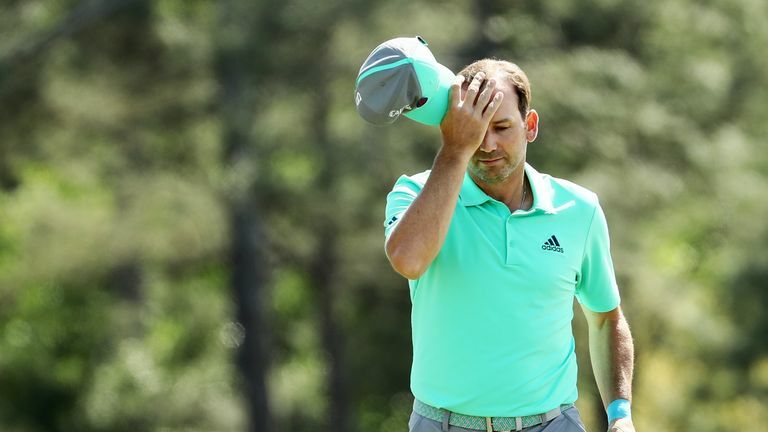 But Garcia will be heading home 24 hours earlier than expected after his frustration boiled over on the greens, leading to his disqualification under Rule 1.2a for "committing serious misconduct". The Spaniard said: "I respect the decision of my disqualification. In frustration, I damaged a couple of greens, for which I apologise for, and I have informed my fellow players it will never happen again." How do City, Spurs recover for Saturday?